uMark helps you protect your digital photos. 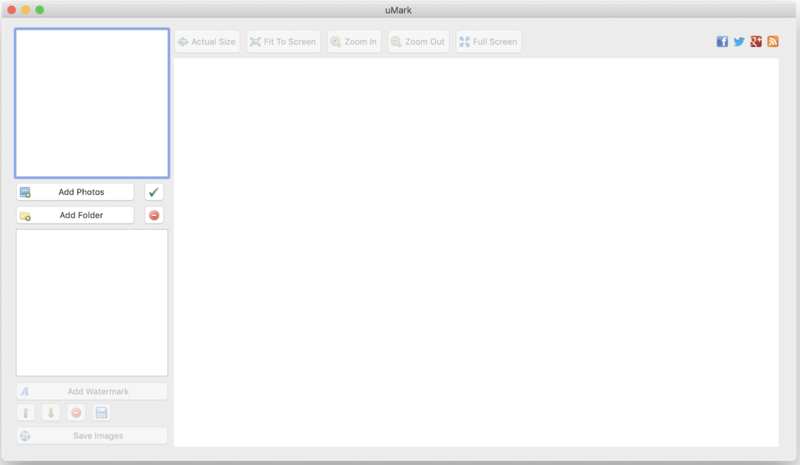 uMark is a powerful batch watermarking software. It enables you to add visible watermarks to your images. You can add your name, logo, copyright info as watermarks. You can customize the placement of your watermark, set a custom font, color and transparency. You can also rotate and tile the watermark. You can save watermark settings for repeat use. uMark can generate thumbnails and batch convert images.